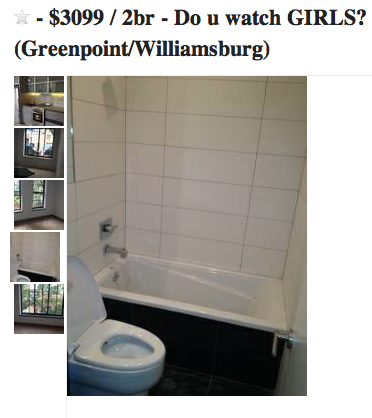 If so, “you’re sure to LOVE this completely unrelated apartment in Greenpoint!” a Twitter user mocks. The question is, after springing for this place, are you even going to have enough petty cash left lying around to afford HBO? If you like “Girls” and you’re on Hannah’s budget you might want to keep looking.